At the Account step of the wizard, you can specify an AWS account and region settings. From the AWS account list, select the account to connect to AWS. If you have not set up the account beforehand in the Cloud Credentials Manager, click the Manage accounts link or click Add on the right to add necessary account credentials. When you add an AWS account, Veeam Backup & Replication imports information about resources associated with this account. During the restore process, Veeam Backup & Replication accesses these resources and uses them to create a target instance in Amazon EC2. From the AWS region list, select the AWS region type: Global, GovCloud (US), or China. 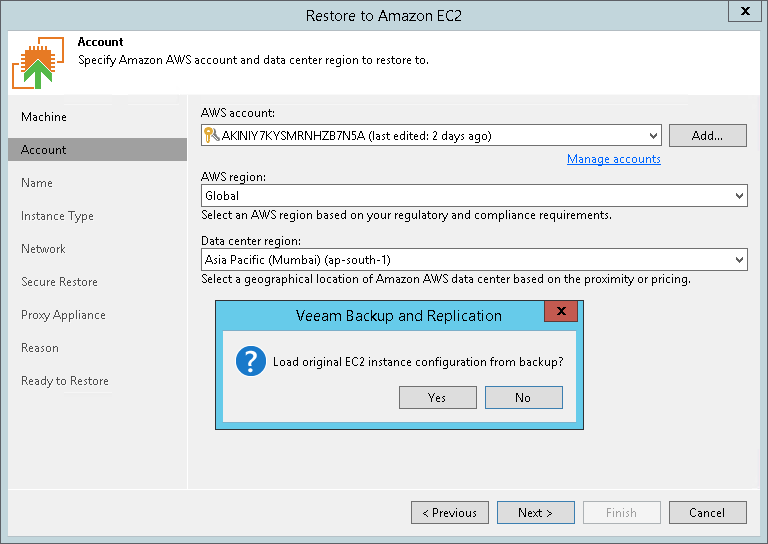 From the Data center region list, select the geographic region where Veeam Backup & Replication will create an EC2 instance for your restored machine. 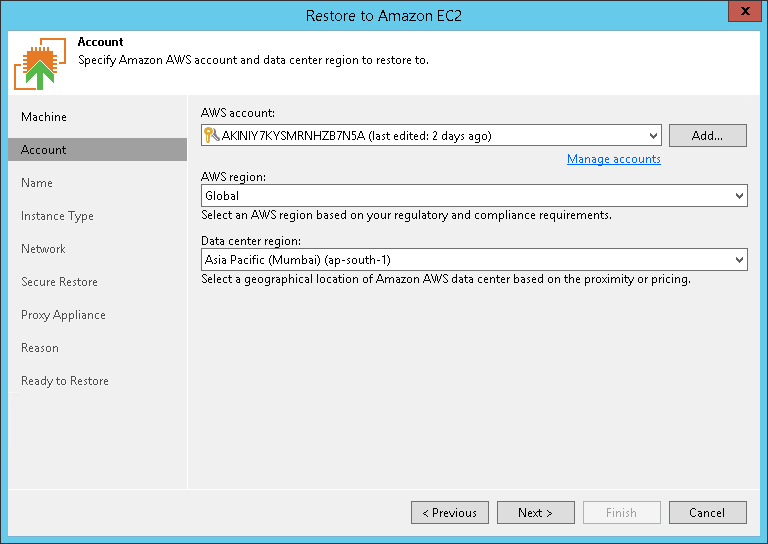 If you restore an EC2 instance from backups created with N2WS Backup & Recovery to the same AWS region where the instance is placed, after you click Next, the wizard will offer you to use region settings associated with this instance.